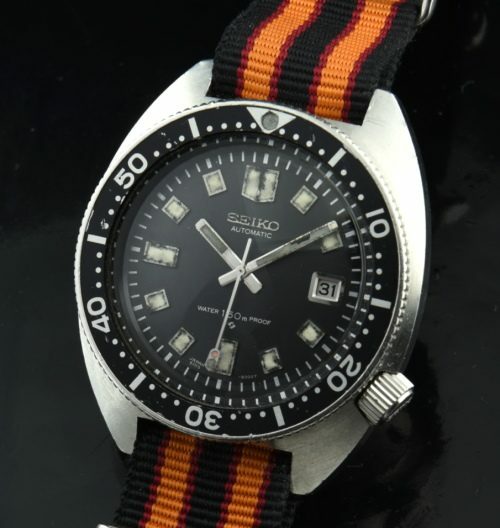 This is an all original SEIKO 6106-8000 measuring 41.5mm. in stainless steel. This watch is truly undervalued in my opinion. The dial, hands, crystal, crown-all of it is ORIGINAL. The automatic caliber 6105 movement was just cleaned and is accurate. This is the earlier and rarer “proof dial” version. I don’t need to say much more. This is a steal at this price, as most of these watches are cobbled together with aftermarket parts.